In the early morning hours of Thursday, February 7th, 2013, Edith peacefully passed away at Caressant Care Nursing Home at the age of 84. She will be sadly missed and fondly remembered by her sons, Tom, Jesse and Ernie; her grandchildren Tracy, Tamara, Lisa, Colin, Robbie, Sarah and Gregory; and by her many great-grandchildren. Edith is survived by her siblings Jack, Gord, Ernie, Don and Pat. 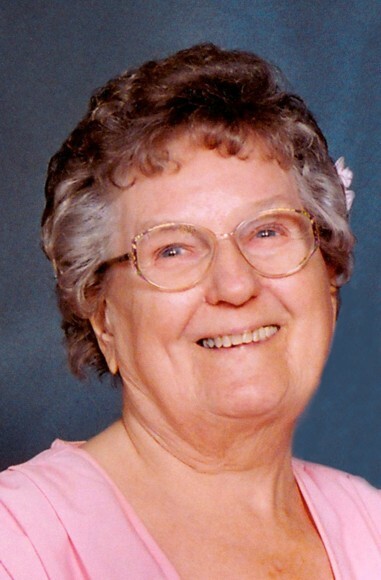 According to Edith’s wishes, a memorial service will be held on Saturday, May 4th, 2013, at 2:00 pm at Parker Funeral Home, 19 Moose Road, Lindsay, Ontario. In lieu of flowers, donations to Caressant Care Nursing Home, McLaughlin or the Canadian Cancer Society would be appreciated. Donation cards will be available at the memorial service. Online condolences may be made at www.parkerfuneralhome.ca. Rest in Peace, Nana Banana. Cousin Tom and Family: I'm so proud to have known your Mother. How many people have had an Aunt that raced stock cars? Danica Patrick could not touch this lady. My deepest sympathy. I grew up with Edith's son Ernie and remember her fondly as a sweet lady. Always a nice and encouraging person with a constant smile.